Fall in love during a jam session with this wonderful Mahalo U-HEART Soprano Ukulele that has a blackenized maple fingerboard as well as bridge! The geared dolphin-style machine heads not only offer smooth and accurate tuning, but also add great island style fun to your playing. 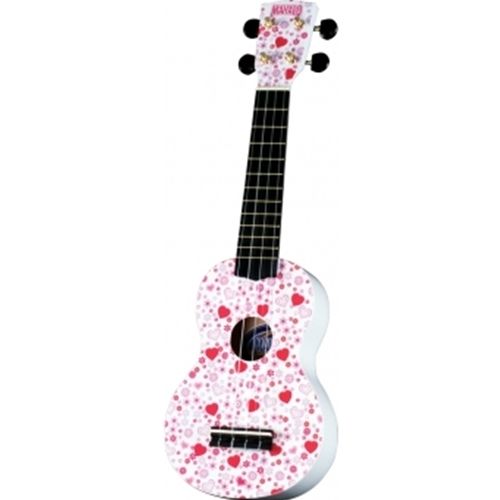 The Mahalo U-HEART has a Nubone saddle that is made in Canada which reveals the esteemed value of this quality ukulele.